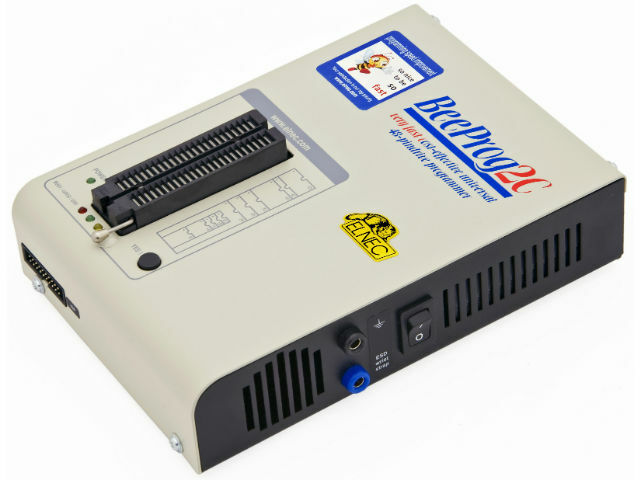 BeeProg2C programmers are fully compatible with more expensive counterpart and at any time users can purchase extension kit for the full version of BeeProg2. control by means of USB and access to free-of-charge software update and list of new circuits that can be programmed by means of this appliance. Additionally, programmers are equipped with the self-test function, possibility of testing TTL and CMOS logic circuits, memory testing and also generating test logic sequences. BeeProg2C programmers are capable of testing over 77k different circuits from over 302 manufacturers – the current list is available at the manufacturer’s Website.